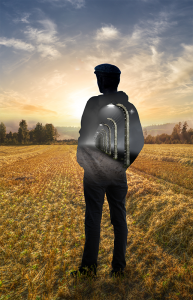 While the Torah explicitly cautions against putting the younger before the elder in terms of inheritance, time and time again, the narrative portions of the Torah provide a lesson to the contrary: Yitzhak before Yishmael, Yaakov before Esau, Rahel before Leah, Yoseph before all his elder brothers, and Ephraim before Menashe. What is the meaning of this odd discord between law and example? 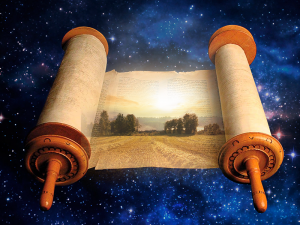 What is the Torah trying to tell us? Why is Avraham depicted coming back from the Akeda alone? Where was Yitzhak? 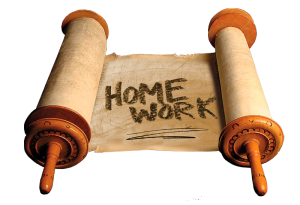 The sages of the Talmud offer a strange answer: he was off studying Torah with Shem, the favored son of Noah! What are we to make of this notion? Are we to conclude that Yitzhak put on a suit and hat and sat down in a classroom? Such a simplistic understanding misses the point entirely. The less literal interpretation is both richer and more meaningful. History shows that civilizations rise, reach their peak, and decline into oblivion. And yet, one small nation somehow managed to escape that fate. But how? 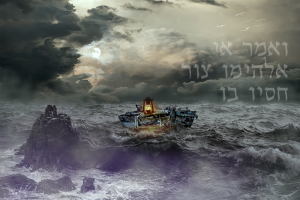 This weak’s parashah offers a recipe to escape the cycle, but it is a drastic one indeed! “Not only with you am I making this covenant and this oath, but with those standing here with us today before the Eternal our God, and with those who are not here with us, this day.” Every generation is the Jewish people. And every generation must choose life or death: do we pass on our traditions to our children or do we let the Jewish people die with us? Parashat Ki Tavo begins with the description of the ritual whereby the Israelite farmer is to offer the first fruits of the harvest at the Temple in Jerusalem. However, the second half of the parasha describes the horrendous fate that will befall the nation of Israel in the future. The juxtaposition of these two discordant descriptions is no coincidence. 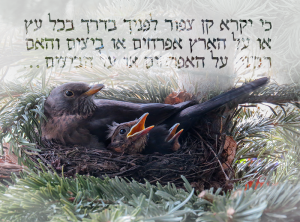 Parashat Ki Tavo is a lesson in learning from history. 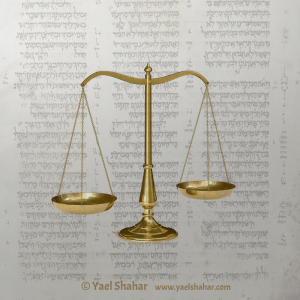 The Law of the King – To whom is it addressed? The Law of the King, in the Book of Deuteronomy sets out the rules for a constitutional monarchy for the nation of Israel. For over a thousand years, kings were judged by how well they followed its precepts. But in the writings of the later prophets, the Law of the King suddenly became applicable to individual citizens. What was behind this radical shift? 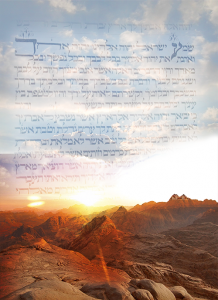 This week’s parashah continues Moshe’s orations to the Israelites in the desert. The setting plays a crucial role in understanding what is going on: it is the eve of their transformation from a group of wandering tribes into a nation. 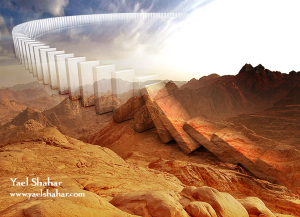 It is no coincidence that this parashah is called “ekev”, literally “because of”. 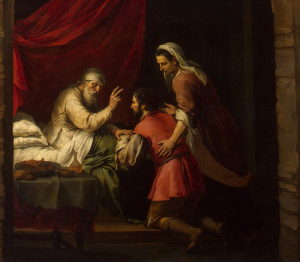 This parashah is about historical consequences. Although the commandments—the contract between God and Israel—were written on stone, the voice of God never ceased speaking; it is heard to this day, if we will only listen. 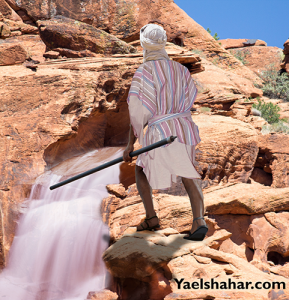 This week’s Torah reading includes the troubling story of how Moshe performed a miracle to provide water for his thirsty people, and how he was punished for it. But what did Moshe do wrong? Why was he punished for doing more or less what God had commanded him to do? The answer lies in a comparison of this story with a parallel narrative found elsewhere in the Torah.